There are plenty of settings like craft fairs, trade shows, and business expos can carry with them a need for special equipment. There are plenty of other settings like tailgates or family picnics where the old stand-by canopy could use a facelift. In these cases and in many others, this Caravan 8 -Foot Professional Side Rail with Hardware can be the perfect solution. It adds that extra touch of style, visibility, and structure that many outdoor shelters are looking for. An 8-foot siderail attaches to any Caravan canopy with at least one 8-foot wall. 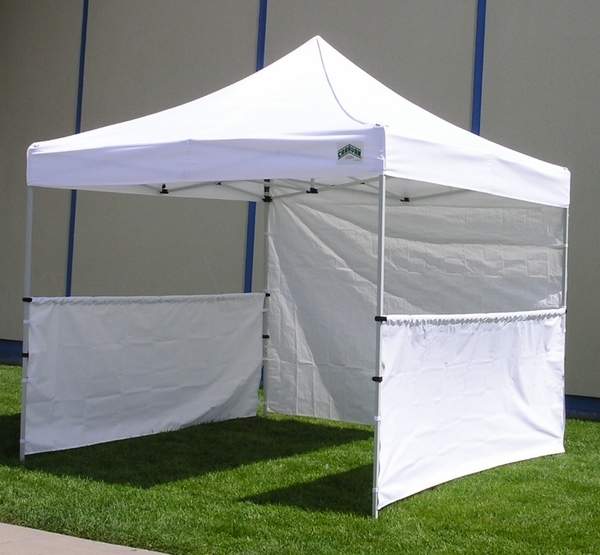 It attaches quickly and easily, and the rail is constructed of professional grade 500 denier polyester, so you don't have any difference in the quality of your tent top and the side rail. Safety concerns aren't a problem since, like the top, this rail is fire and water resistant. To make a long story short, there are all sorts of applications for this unique accessory. In some cases there's a business or trade concern, in others it's simply a matter of style. Whatever your reasons, though, it doesn't have to be difficult and it doesn't have to be expensive. For a little money and even less time, you can put this Caravan 8 -Foot Professional Side Rail with Hardware in place to give an eye-catching, meaningful boost to your favorite shelter.